In 456 B.C., the city of Corinth was protected by guard dogs trained to warn of invaders. One night, a group of Persians snuck into the city to seize it. Of the 50 guard dogs, invaders killed 49, but one who probably swallowed a lucky rabbit’s foot escaped. The dog, named Soter, warned the Corinthians, and they fought off the Persians. 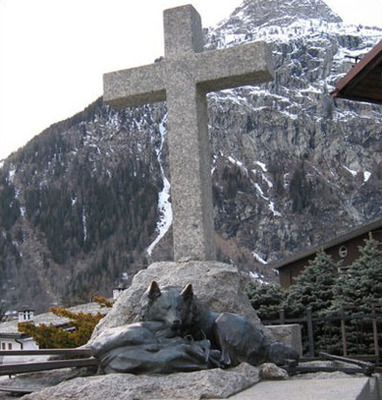 They gave Soter a silver collar that read, “To Soter, defender and savior of Corinth,” and built a monument to him and the dogs who died. A diptheria epidemic was about to hit Nome, Alaska, in 1925. The only cure was in Anchorage, 2,800 miles away, and the only plane that could deliver it contracted a case of frozen engine, which happens in Alaska. So the serum traveled via a series of dog-sled teams during a blizzard. 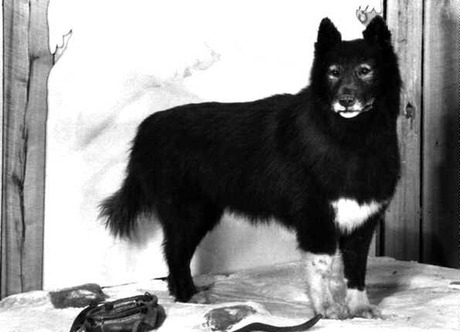 Finally, the medicine came to Gunnar Kaasen and his dogs, led by a Siberian Husky named Balto. Balto followed the trail all night in whiteout conditions. When they arrived to pass the serum to the final team and found them asleep, Balto continued right the heck on to Nome. The Iditarod Race commemorates their run. 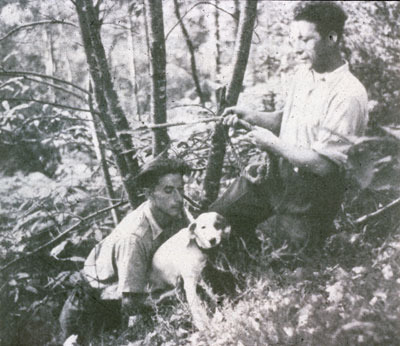 In 1940, four teenagers in France took their dog, Robot, to investigate a legend of a tunnel that led to treasure in the woods. As they walked, Robot ran ahead and sniffed a hole made by an uprooted tree. The boys, thinking Robot found the tunnel, descended into the hole and found a cave full of paintings. The 17,000-year-old art is incredibly valuable for exploring our ancestors. One theory suggests that, in a flickering flame, the paintings are designed to appear to move, making them the earliest animated motion. Robot definitely led the boys to treasure. 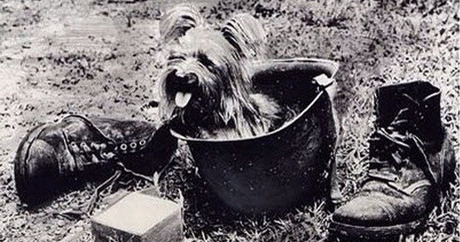 Smoky, a four-pound Yorkie found in a New Guinea foxhole, was the first therapy dog. Carried in an American soldier’s pack, she survived 12 combat missions, 150 air raids, a typhoon, and parachuting from a treetop during WWII. She assisted construction of an airbase by running a wire through a 70-foot long, 8-inch wide tube. Smoky comforted and did tricks for casualties in hospitals from Australia to Korea. When she returned to the U.S., she performed on television, even walking a tightrope while blindfolded. She continued therapy work for 12 years. 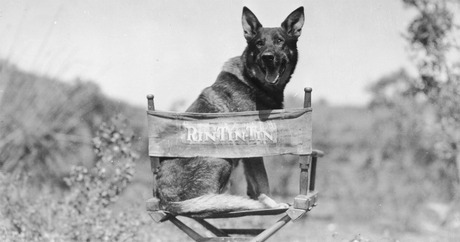 “Rinty” is one of three canines to have a star on the Hollywood Walk of Fame (the others were Strongheart and Lassie). Rinty’s owner found him during WWI, brought him to the U.S., and found work for him in Hollywood. Eventually, he starred in Where The North Begins (1923). It was a hit when Warner Bros. almost bankrupt. Rinty became known as “the mortgage lifter,” and saved the studio and Hollywood. His descendants joined war efforts, starred in television series, and acted as spokesdog for the American Humane Association.